Ugh. Today was not the first time someone has asked me this question. When I first got this question last summer, I was rather put off by the comment and quite content to dismiss the guy as someone who simply “doesn’t get it.” Needless to say, this question has crossed my mind more than once or twice over the past 12 months, but I still wasn’t fully prepared to give an answer this morning. I was grateful for a gathering hymn that we often sing this time of year when students and community members are returning to campus. We come as we are, with the gifts that each one brings – young and old; male and female; from east and west; single and married – all gathered around the Lord’s table. And an uplifting psalm response with the reminder that “the Lord is faithful to all his people.” Today finds me trusting in God’s faithfulness, and faithful to this little writing project, even in the face of those who might doubt its relevance. I mean, what WOULD a married person say to a question like that?! I almost avoided reflecting on this question for fear of offending a good friend who is a recent widow. But I actually hear my widow friend reflecting on her marriage quite a bit. Reading Wendy’s reflections, it is obvious that recalling the joys and struggles of marriage, their hopes and dreams for a future together, is what sustains her through unspeakable grief. I can’t imagine a married person avoiding the opportunity to reflect on the lessons of marriage simply because their circumstances may some day change. 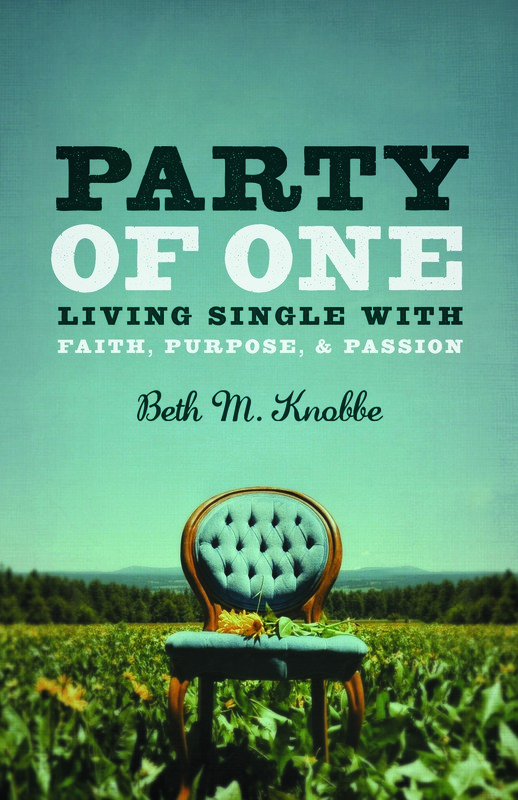 So, what good does it do to write a book about being single? I’m sure many people who find themselves reading these reflections desire to be married, and some will eventually find themselves walking down the aisle. Reflecting on the single life and desiring to be married are not mutually exclusive endeavors. Whether you find yourself single for now or single forever, dating, engaged, desiring to be married, or content with your current status in life – I’d like to suggest that there are lot of benefits to reflecting on the experience of being single. I hope you recognize and treasure the importance of being a whole, complete person during the single years – growing in acceptance of your likes and dislikes, gifts and skills, career opportunities, personality quirks, imperfections, and positive traits. I want singles to know that we are called to holiness at every stage of life, we belong to God, and our identity in Christ is what makes us holy – regardless of our status. Being single has given me time to develop a lasting relationship with God through time spent in prayer and the generous support of a wonderful faith community. I think it benefits all of us to learn the importance of forgiveness, both forgiving others when they hurt us and recognizing the need to forgive ourselves for the mistakes we’ve made. I hope singles will embrace a spirit of gratitude for the many gifts God brings into our lives – the joy of friendship, the struggle of discernment, and the risks and rewards of falling in love. I don’t see myself getting married anytime soon, which makes these reflections all the more important. The lessons of the spiritual life are what sustain me when singlehood feels difficult or demanding. God’s gifts of gratitude, prayer, discernment, forgiveness, and friendship keep me going especially when I face long days or lonely nights. These are also the lessons that have brought me great fulfillment and acceptance of the place where I am right now. It is enough to be single, and not waiting for something – or someone – else to come along. But if someday I do get married, I think knowing these things will do us both a whole lot of good.